While pondering thoughts on the soul the other day, my musings turned toward that which brings happiness and some semblance of meaning to life. One comes across personal and particular things in life's sojourns that speak to the soul and bring about a certain calm and inner peace. For me, the days of my youth spent thigh deep in a cool, clear, smooth running stream, water pushing hard against my legs, have forged strong memories that remain a soothing balm for my soul. Waters running inexorably downstream bounding over and around boulders, pausing temporarily at swirling eddies before continuing onward, journeying to their ultimate destination, seem a mirror of life itself. 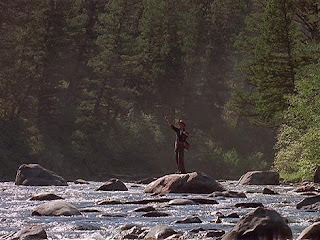 The joys and tragedies are all there in the water, indeed, A River Runs Through It as penned so aptly by Norman Maclean. 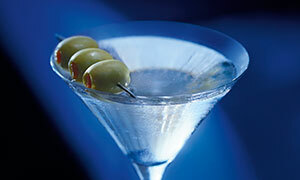 Cold and dry Martinis, too, are a source of enjoyment and indulgence for me. The very process of making a Martini well, is in a sense, therapeutic. Just as the stream demands a particular approach, so it is with the Martini. One needs to carefully consider the choice of ingredients in the Martini, just as you must make the precise fly selection on the stream. Then that first frigid sip of your carefully crafted Martini brings forth a warmth that spreads over you and envelopes you in a blanket of contentment. Neither activity is to be overdone, mind you. Too many Martinis is like over fishing the stream, which displays an immaturity and lack of appreciation for the finer things in life. Then there is the soulmate, this other person who entered into your life and became a part of you, becoming something that can never be removed without losing a part of yourself never to be completely replaced. And while fishing and Martinis can be enjoyed as a solitary endeavor, the ability to share something special with that someone special is unique to human experience. Fishing and Martinis may speak to me, in a sense, but I cannot speak to them and have them listen and understand. 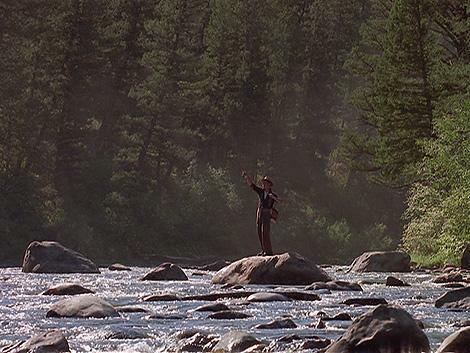 And although a Martini will never disagree with you, and trout waters will never burden you with a list of onerous chores, they can never really be a part of you in the same way that your soulmate can. To find another with whom you want to share your true self, your soul, exposing not just your strengths, but weaknesses as well, represents I think, an act of bravery of sorts, but the ability to put yourself aside, wanting only to think of your partner's interests, I think, is what essentially defines what it means to have found your soulmate.